It’s a widely debated issue, I’ve learned. How much are readers willing to pay for a book? There doesn’t seem to be a solid answer, though there are trends. Popular books or books by popular authors generally cost more. Ebooks tend to be cheaper than the physical thing. The Bible is the most stolen book on the planet. I’ll leave you to decipher the meaning in that last one. Obviously, it comes down to reader preference. I generally don’t have a problem paying ten to fifteen dollars for a book by an author I love, especially if it’s part of a series. But such an event is rare. I’m usually more in the five to eight dollar range. If it’s a self-published book, I usually pay around three bucks. There are many books on Amazon that go for a dollar. Have you ever really thought about that? A box of Girl Scout cookies is four bucks. A grande Starbucks is approximately the same price. So I could get four books on Amazon, which would take several hours to read, for the same price as a sweetened coffee drink I’ll finish in about ten minutes. Hours of entertainment for the same price as a hint of pre-diabetes. Does this mean literature is undervalued? Chuck Wendig recently wrote a post about the value of ebooks (there’s language, so don’t click over if you’re sensitive to that kind of thing). He suggests that maybe we should consider the value of the story, as if such a thing can be done. People visit libraries and can potentially read incessantly for free (other than whatever they pay in taxes), and my library is busy 100% of the time. Friends share books without a second thought because they loved a story and want to share the experience. I can’t think of anything that is shared as easily as a book. Undervalued? Certainly not. Underpriced? Perhaps. It takes hundreds to thousands of hours to write, edit, rewrite, recruit beta readers, rewrite, query, wait, drink, wait, get rejected a few dozen times, and maybe, finally, find a place with an agent or publisher. Even if an author self-publishes, there’s still all the writing, editing, cover design, etc. involved. Writing a book is a lot of work. That’s why I’m usually game for paying at least as much for one as I would pay for a sandwich. What do you think? 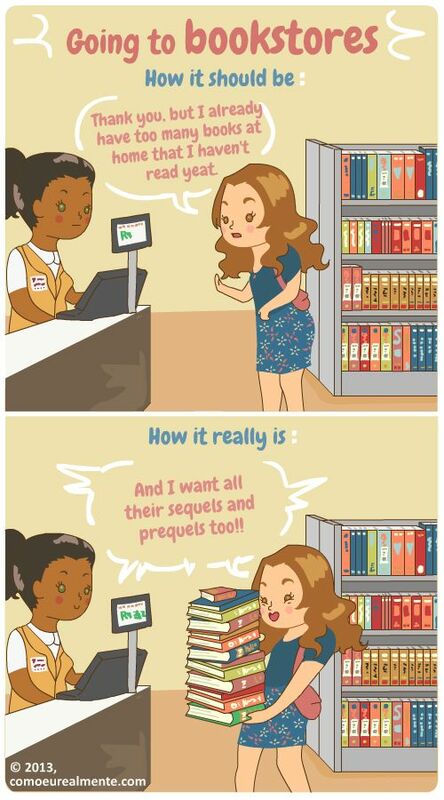 How much do you normally pay for a book? ← How Thick Is Your Skin? The value is in the content, which is determined by the value of the reading experience. The problem is that there are a lot of books out there, especially because of us indie authors flooding Amazon with our brilliant prose and priceless narrative. Some is not so brilliant. I don’t think it’s a question of how much is somebody willing to pay in money as much as how much time they’re willing to invest in reading a book. There are more than enough free books to keep a reader busy for a lifetime. Once they find something worth their time, I imagine price is a distant second. great point. I think that’s why amazon and goodreads reviews are so important. I actually got out of the habit of buying physical books because I just don’t have the room 😦 my family was always big on going to the library, so for me a library trip is a fortnightly habit. I get the popular/mainstream books for free, and then I’m happy to buy the self-published books for a handful of dollars. They might be underpriced, but a book is better read than left unread so I don’t see a problem with ‘cheap’ books – it increases the chances of them being read 🙂 plus I can just imagine how awful school would have been without a library. We need libraries. You’ve got me thinking now 😉 what a great topic. I’m ALL for libraries! I used to work in the acquisitions department of one. We paid full list price for most of the books we ordered. A book is absolutely better read than unread. If someone reads a book they got at a library, loves it, and tells their friends about it, maybe their friends will buy it! Word of mouth is huge. Interesting post- I had never really thought about books being undervalued, but you make very good points!